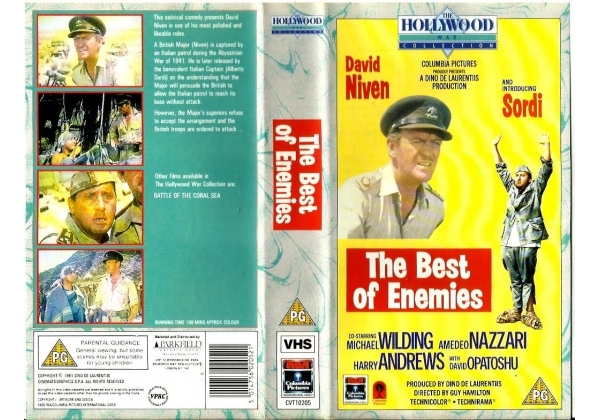 This satirical comedy presents David Niven in one of his most polished and likeable roles. A British Mjor (David Niven) is captured by an Italian patrol during the Abyssinian War of 1941. He is later released by the benevolent Italian Captain (Alberto Sordi) on the understanding that the Major will persuade the British to allow the Italian patrol to reach its base without attack. © Dino De Laurentiis S.P.A.
Or find "Best of Enemies, The" on VHS and DVD / BluRay at Amazon.